Srinagar, Jan 19 (KNS): J&K Bank results for the third quarter have come up with numbers having enough indicators to tell the market pundits that the bank is bound to see a positive growth in the coming days, starting this quarter itself. The bank has exceeded market expectations according to the market experts and numbers are assuring and the script is being strongly recommended for buy with upside potential of 65% in the long term. As per recommendations by major broking houses like Prabhudas Leeladhar, ICICI Direct, Anand Rathi and Elara Securities the bank looks strong in long term perspective. At the current price the stock is a great investment opportunity to those interested in the stock market. 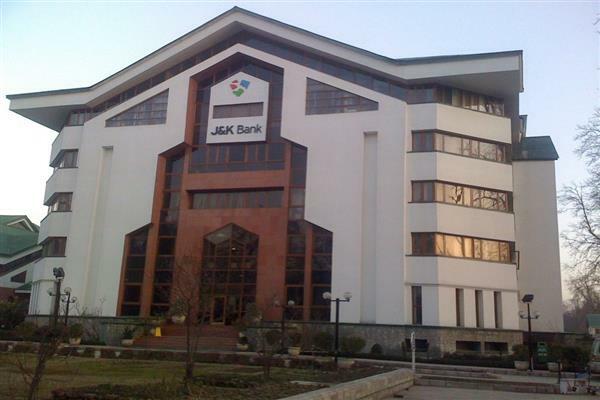 Commenting upon the expected move of J&K Bank Rakesh Kumar, Analyst at Elara Securities told in a written statement, "Jammu & Kashmir Bank (JKBK IN) operating performance was above market estimates as margin improved by 22bp QoQ due to higher credit yield. Moreover, lower-than-expected provisions and higher operating profit beat led to significantly higher net profit of Rs 1.07bn versus our estimates of Rs 0.17bn. On the balance sheet front, credit grew by 12 per cent YoY while deposits witnessed growth of 18 per cent YoY. Within deposits, the rest of India’s (RoI) term deposits grew at an average 48% over the past two quarters, and we believe that such a continued phenomenon will result in increased cost of funds over the long term." He said that JKBK has exposure worth ~INR 13.5bn to stress-laden IL&FS Group, of this, the bank has reclassified exposure as sub-standard in Q3FY19, and this resulted in higher slippages at Rs 10.3bn (past two quarters average at Rs 5.1bn), and, as a consequence, both GNPA and NNPA saw a sharp uptick. However, despite higher credit cost, coverage ratio at 66 per cent was close to its past four-quarters average at 68 per cent.